10 Small Stories That'll Warm Your Heart! - Something New Everyday! Home InspirationalStory ListPost ShortStory 10 Small Stories That'll Warm Your Heart! 10 Small Stories That'll Warm Your Heart! You don't need to be a millionaire to help make the world a better place to live in. 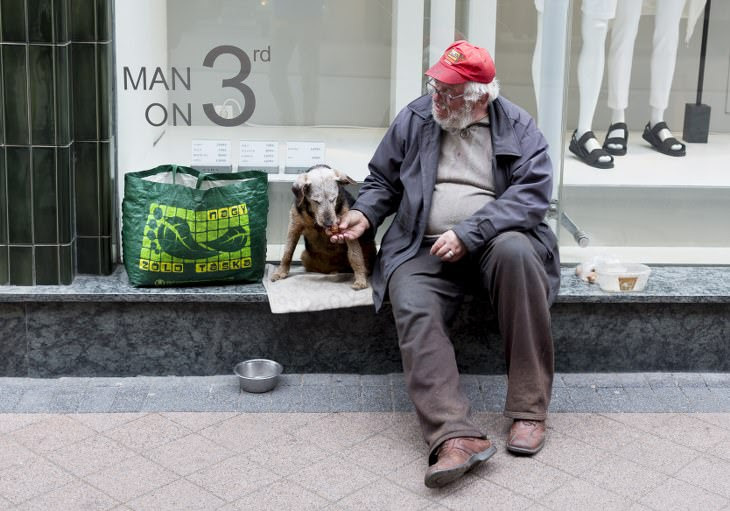 In fact, it's often the little things in life that make the biggest impact, such as helping an elderly person carry their heavy bags, feeding a hungry animal, or even just giving someone unhappy a friendly smile. Below, you'll find 10 heartwarming stories that prove that doing good deeds isn't as rare as many people think. 1. I once saw a man practically begging his wife to allow him to buy himself a delicious kebab, but she kept on refusing. While she was looking away, a guy on the next table let him have a bite of his own one. Now that's what I to call solidarity amongst fellow men. 2. After donating blood, I suddenly felt ill on the bus home and ended up fainting. Many of the passengers took turns trying to revive me, and the bus driver decided to drive me directly to the hospital for free. The passengers even picked up the belongings I had dropped and handed them in to the hospital for safekeeping. It's a shame that I didn't get the chance to thank them all in person. 4. Last week, a girl wearing 4-inch heels got on the bus I was riding. All of the seats were taken, and she looked pretty uncomfortable standing up, so I offered her my seat. Today, I had to stand on the bus myself, but luckily another understanding girl gave up her place for me. It's good to know that us girls often have each other's backs. 5. Due to the massive workload I currently have, I didn't sleep for two whole days! Yesterday, however, I ended up falling asleep at my desk, and mysteriously waking up at home. Apparently, my boss had called my husband to pick me up from work, and even gave me an additional 2 days of paid leave. 6. Today is the 21st anniversary of the day my parents adopted me. So to celebrate, my wife and I are going to adopt a child from the exact same orphanage that I came from. Now, we'll all be able to celebrate this wonderful day together, year after year! 7. While I was out walking, a homeless man asked me for some money to buy his friend some food. I bought him a sandwich instead and watched him for a while. What I saw next completely amazed me. He simply took a small bite for himself, and gave the rest to his pet dog, who gobbled it up in a couple of bites. 8. I was running late for an extremely important exam and was dashing to the bus stop, when a police officer stopped me and told me off for jaywalking. I burst into tears and told him what I was going through, and he then proceeded to give me a free ride with the emergency lights switched on. Needless to say, I arrived with plenty of time to spare, and ended up passing with flying colors. 9. An elderly man in the local grocery store had a carton of milk in his left hand, and was counting a bunch of coins in his right one. It was obvious that he didn't have enough money on him, so another customer just dropped a $10 bill at his feet, and told him, "It looks you've dropped something." He then just walked away and carried on with his shopping, leaving the elderly man speechless. 10. While waiting to pay at the cashier's desk, the woman in front of me walked out of the store, leaving a bag of Oreos behind her. I resisted the temptation to keep them for myself, and ran out after her to give it back. The look of gratitude on her face was priceless!